Chris Herring Heat & Air is proud to serve the Oxford community! Please call us today at 662-760-9697 to consult with our home comfort specialist. About Oxford, MS - Happy to be your hometown Heating & Air Conditioning Contractor! 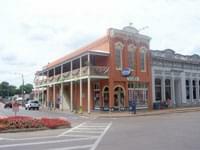 Located in Lafayette County, Mississippi, the City of Oxford is home to the University of Mississippi, otherwise known as Ole Miss. The community has a population of nearly 21,000 residents, and it was founded in 1837. Oxford has earned a variety of distinctions, being called one of the top college towns in the nation by USA Today. Sometimes referred to as the art center of the South, Oxford has been the home of a variety of Americans famous in the arts, including writers William Faulkner and John Grisham, as well as painters Glennray Tutor and Jere Allen. Oxford is home to a wide variety of cultural attractions, despite its modest size. The Sweet Tea Recording Studio has welcomed a variety of popular musicians to record their albums, including Elvis Costello, Gavin Degraw, and the Counting Crows. The community has a diverse and thriving music scene, and it is also the home of Fat Possum Records, a renegade blues label for artists like Modest Mouse and The Black Keys. Other attractions are also available in Oxford. The courthouse square serves as the cultural and geographic center of the city, and it features a variety of locally owned boutiques and restaurants. Square Books is located here, and this local bookstore has been around since the late 1970s and still ranks as one of the best independent bookstores within the U.S. The Lyric, the largest music venue in Oxford, is located just off of the courthouse square. Oxford residents will be able to experience four different and unique seasons during the year. A cool and rainy autumn will typically bring on a mild to chilly winter. During these months, snow is sporadic and may only result in about four inches of total accumulation. However, ice storms and freezing rain are possible threats, so residents will be smart to ensure their heat pump or furnace is in proper working order. The winter in Oxford will melt away into a warm spring, but severe thunderstorms with strong winds and even tornadoes are common. These storms can also occur in the summer when temperatures and humidity levels are high. To stay safe from heat-related illnesses and other problems, Oxford residents commonly invest in home air conditioning systems to make the harshest weather conditions more bearable.